Miami Sound Machine are an American band. 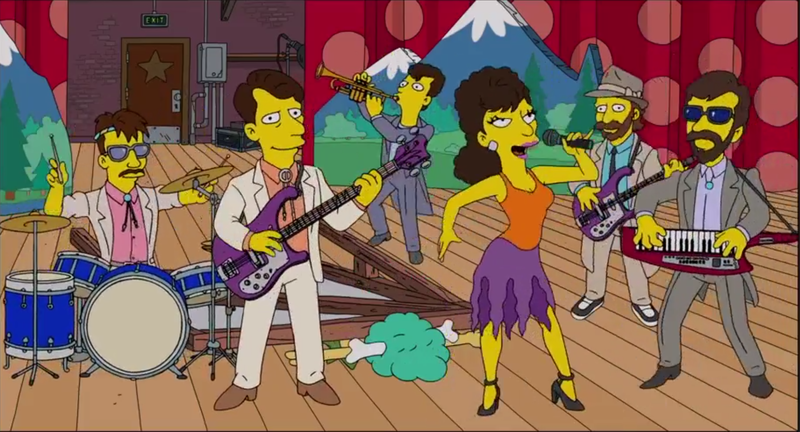 During one of the cut out gags of The Krusty the Clown Show season 40, the background fell on Sideshow Mel. Krusty then told Mel to stick to the script and Mel introduced Miami Sound Machine who came on stage and started playing "Conga". Modified on March 25, 2019, at 14:16.